Dr. Poulsen holds the rare combination of having a degree in medicine (MD) with a license to practice independently as a medical doctor and a Master’s degree in Biomedical Engineering. He obtained his MD degree in 2011 and his MSc degree in 2012 from Aarhus University, Denmark. His Master’s thesis was completed in the field of neuroradiology at the Royal Melbourne Hospital, Australia. He has clinical experience in the fields of neurology, cardiology, and emergency medicine and has 1.5 years of research experience in neuroscience. 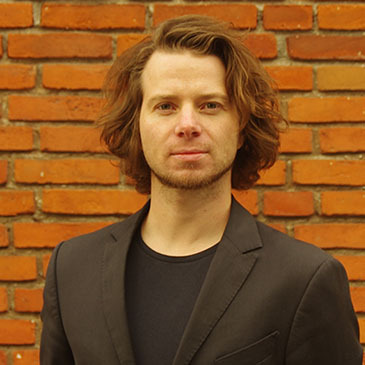 Since 2013, Dr. Poulsen has been an alumnus of Singularity University, USA, and is an invited lecturer at the Wharton School of Business, University of Pennsylvania, USA. Dr. Poulsen co-founded Cortrium in 2014 after completing his medical internship and is responsible for leading the company as the CEO. He has a passion for improving patients’ outcome by leveraging scalable new solutions. In this work, he has been active in organizations aiming to advance technology and medicine, such as Health 2.0., Quantified Self, Hacking Health, and Startup bus.